Discussing the strangest job he’s had, Neil deGrasse Tyson reveals that he had to clean student bathrooms as part of his financial aid while an undergrad at Harvard. Larry King: Strangest job you’ve ever had? 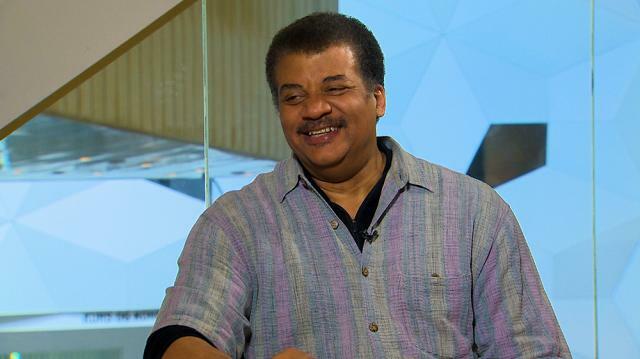 Neil deGrasse Tyson: That was at Harvard. Larry King: You cleaned bathrooms at Harvard? Neil deGrasse Tyson: Yes, I did. Larry King: You didn’t have a scholarship? Neil deGrasse Tyson: Yes, I did. Well, no. I wasn’t poor enough to be completely scholarship covered. So, if they judge how much money you have in your capacity to pay? They say, “We’ll take this much from you and we’ll corbel together the rest of the tuition, by the rest of this.” I have later learned that they no longer have students cleaning the bathroom of other students.It creates an awkward dynamic in your social life and the culture of the town. Larry King: I would bet. Neil deGrasse Tyson: So it’s not odd. But it was just, for what it was, it was a little weird.